We had a very “BEE-sy” morning in the Healdsburg offices today, helping to preserve the environment and a local bee colony. 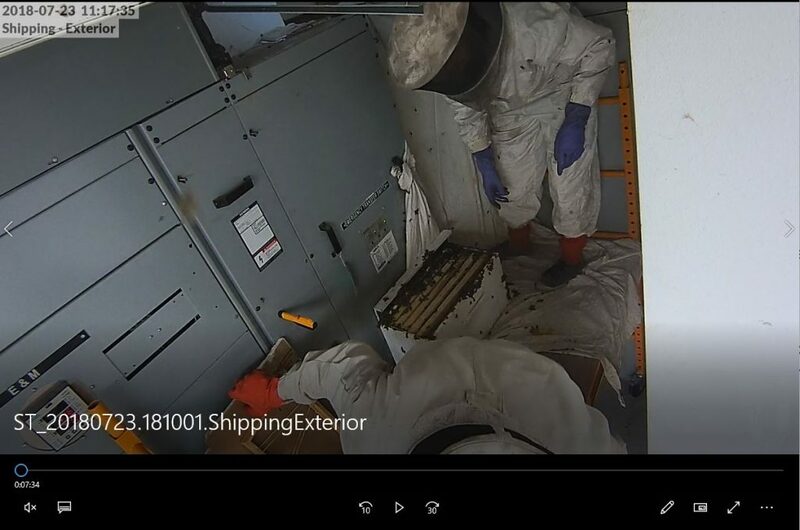 A couple of bees were spotted buzzing around our Shipping Electrical Room early this morning, which led to the discovery of a beehive on top of our Electrical Panel! 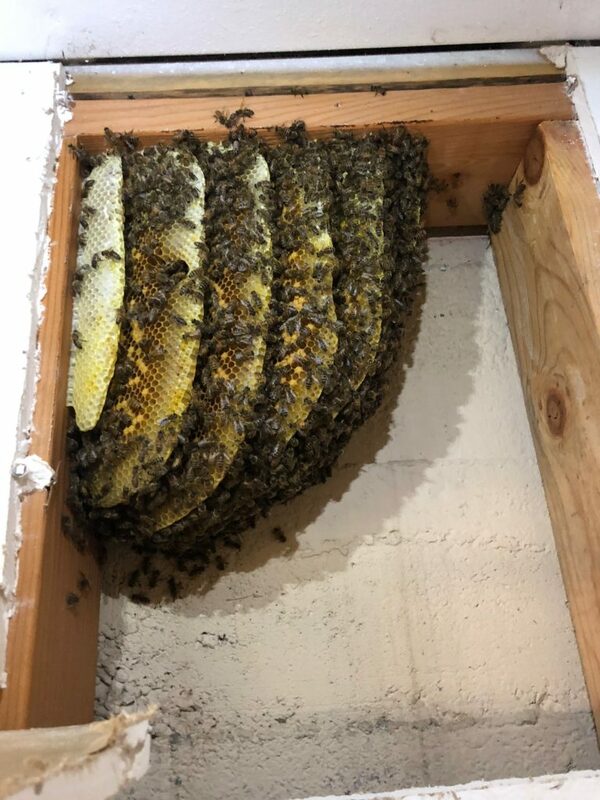 With the help of two local bee-keepers, Liz and Joey from R Honey Pots, they were able to transplant the comb on the wall to a new hive, along with most of the bees. 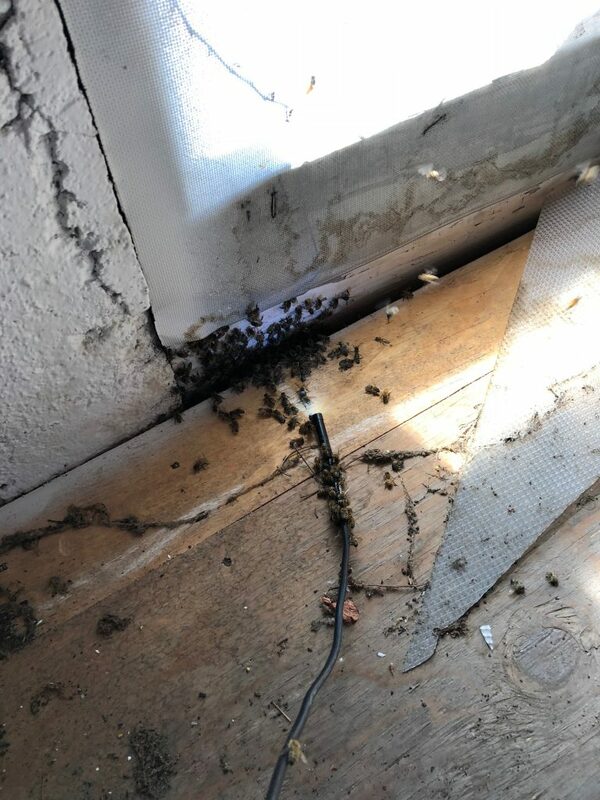 The bee-keepers decided to keep the new hive in our Shipping Electrical Room for a couple of more days, until they determine the location of the Queen, while giving the other bees time to adapt to their new home. Download this 10-minute video of the bee-keepers at work!